Photograph by Thomas Mark Szelog. 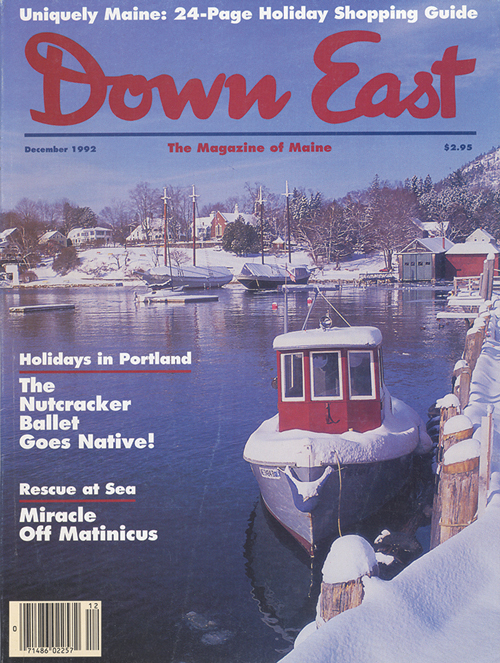 From “Icy Thrills & Spills” in our December 1992 issue. Photograph by Thomas Mark Szelog. Camden Harbor by Kevin Shields. See more from this issue! The ride may be short and the finale a bit undignified, but anyone who has hurtled down the toboggan chute at Camden Snow Bowl agrees it’s a thrill. On their 10-second journey from the tipping platform to frozen Hosmer Pond, tobogganers are likely to reach speeds up to 40 mph. But the 2-year-old, 400-foot wooden chute has given this community more than an adrenalin rush. It’s brought townspeople together for lively winter fun and revived a bit of local history as well. As a child, Jack Williams witnessed the 1936 construction of the ski area, including the original wooden toboggan chute built at the Camden shipyard and stained by local women. Over time, the chute rotted out, and it was abandoned in 1964. When there was talk in the late ’80s of shutting down the Snow Bowl due to lack of reliable snow, Williams presented the idea of resurrecting the chute to create additional revenue and spark community involvement. Earlier this year , the U.S. National Toboggan Committee presented Jack Williams, now 90, with a trophy commemorating his dedication to building and maintaining the toboggan chute that bears his name. 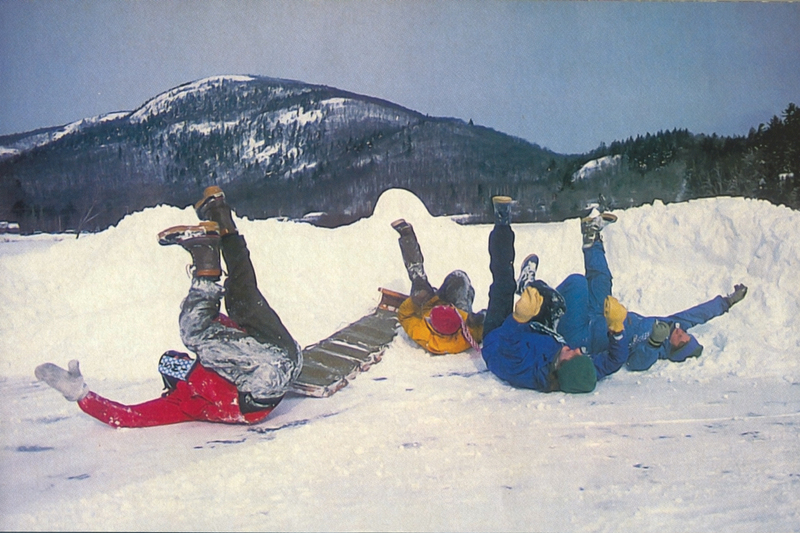 The plaque thanked him for “bringing a legacy of healthy competition and winter activities to the state of Maine for generations to come.” Learn more about the National Toboggan Championships, held in February. See more From Our Archives.